Queers at the MN Hmong New Year! MWSM canvassed at the Hmong New Year this year at the MN River Center in St. Paul. We were able to canvass a 100 people with various opinions on Marriage Equality and other social issues. Check out some of the photos! Stay tuned for the results collected from the data! Chong (on right) engaging in conversations with Hmong elders at the 2013 Hmong New Year. 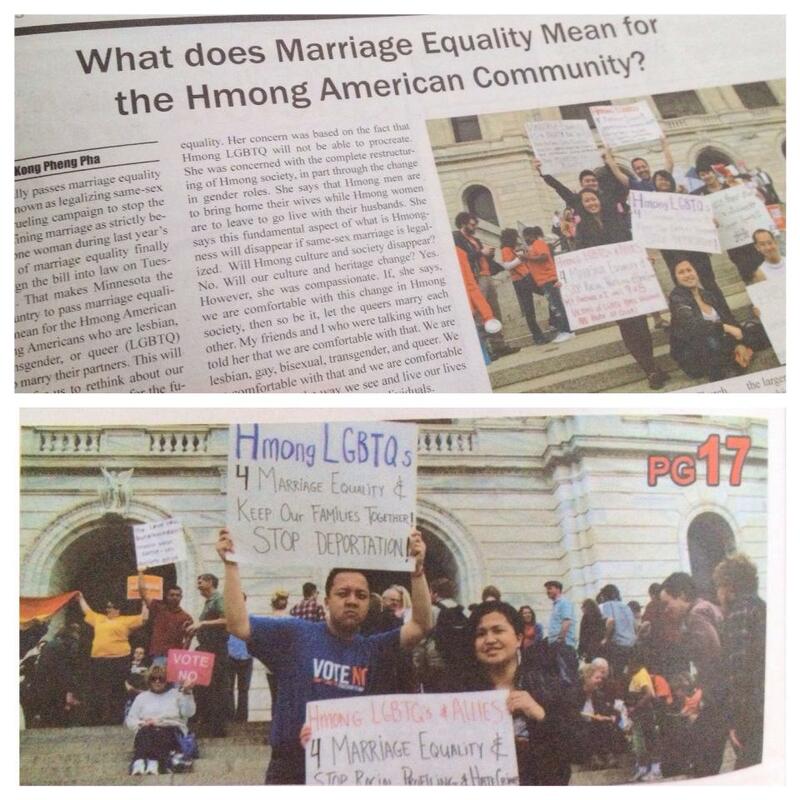 Linda (on right) canvassed young and middle-aged Hmong Americans about the 2012 Election and Marriage Equality 2013.